Significantly less weight: Usually about 70% lighter than the same size lead acid battery. Orientation: Can be mounted and operated in any direction. Rapid Charge: A smart Battery can be fully recharged in as little as 1 hour from a completely dead battery. If you have a 100 amp hour Smart Battery and a 100 amp charger, It will take 1 hour to fully re-charge. No Voltage Drop: Voltage Curve is nearly flat giving out higher voltage and power through out the entire charge cycle. A Smart Battery 12V Lithium Ion Battery has little to no voltage drop while cranking your motor, This provides around 25% faster starting than with a lead battery. When cranking your motor with a lead battery the voltage can drop down to 9V causing your starter to spin slower. Charge Efficiency: When charging a lead acid battery you can lose between 15 - 30% of the energy from your charger to the battery due to heat loss. A Smart Battery is 99.1% efficient and will accept nearly 100% of the power from your charger or solar panels. Charge Algorithm: Smart Battery Lithium Ion Batteries can be charged with constant current and constant voltage (CC, CV). This means that almost any battery charger regardless of the algorithm can charge a Smart Battery. An algorithm typically slows down the current flowing into the battery from the charger. Lead Acid batteries heat up and swell if they receive constant current so charger manufacturers create algorithms to slow down the current protect the battery from over heating. A Smart Battery will not heat up while charging. Bulk, Absorb and Float Charging: If your charger is programmable for different types of batteries or custom settings you will want to set it up as follows: Bulk 14.4V, Absorb 14.6V and float at 13.6V. No Self Discharge: A Smart Battery can hold a full charge for over 1 year and has virtually no self discharge. Lead batteries can lose up to 30% of their capacity per month due to self discharging. Vibration Proof: Smart Battery cells are bolted together and made of solid construction - There are no fragile or brittle plates made of lead, which can be prone to failure over time as a result of vibration. Amp Hours: What many battery owners fail to realize is about the lead acid battery is that its capacity (Ah) rating is usually specified at the 20 hour discharge rate. At high rates of discharge above 20A the usable capacity can be reduced to less than half due to "Peukert's Effect". A 225AH Lead acid battery at an 80A discharge rate may only run for 53 minutes. Whereas a Smart Battery 12V 225AH Lithium Ion Battery discharged at an 80A rate would last for almost 3 hours. When calculating amp hours with a Smart Battery you can use linear equations to size your battery bank. Superior "Usable" Capacity: A Smart Battery can be fully discharged down 100% without damaging the battery. Lead batteries typically only provide 50% usable capacity from the amp hour rating. This means that if your application requires 400 amp hours of usable capacity you would have to size a lead acid battery bank of 800 amp hours. Rated Capacity: Smart Battery 12V Lithium Ion Batteries have about 8% more capacity than rated. A 100AH Smart Battery can produce 108AH of usable capacity. Not affected by Peukert's Law: Another huge advantage of Smart Battery Lithium Ion Batteries is that Peukert's Losses are essentially non-existent. This means that A Smart Battery can deliver its full rated capacity. Cells - Smart Battery products are built with 3.2V 5AH Cylindrical Lithium Ion Cells, Each cell is designed with explosion proof stainless steel, flame retardant electrolyte and a thermal fuse. Consistency - Smart Battery 3.2V 5AH cells are mass produced with production capabilities reaching 500,000 cells per day. Design - Smart Battery cells are bolted together to increase strength, conductivity and quality design of our LiFePO4 batteries. The cells are bolted through length way circuit boards that provide additional strength, balancing and short circuit protection. In the unlikely event one or more cells were to fail the circuit boards will take that cell(s) off line and allow the battery to continue function normally at 12V with little reduced capacity. Balancing - Smart Battery cells are grouped together based on 10 consistencies when building each battery pack. The bolted cell design provides a stronger connection for less resistance and more current conductivity. Along with passive balancing through the length way circuit boards, these batteries maintain the highest overall pack capacity and are designed to last 3000 - 5000 cycle. Reliability - Thousands of Smart Battery Lithium Ion Batteries are used all around the world for Commercial, Government and Military applications, Our proven technology and reliability has made Smart Battery the industries leading 12V Lithium Ion Battery Manufacturer. 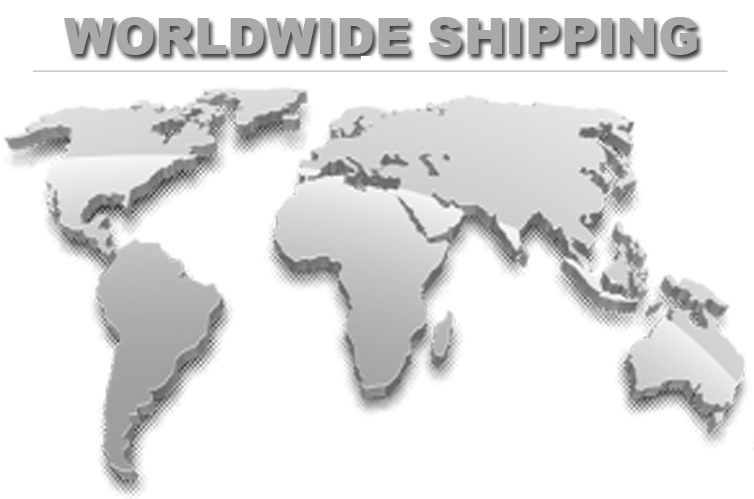 Customer Service - We are available 7 days a week, late hours and even through the night to support our worldwide client base. Most calls will always be answered by a live Smart Battery representative who is knowledgeable and friendly. If your call is not answered right away we will return your call promptly in the order we receive it. Commitment - Smart Battery® also takes great pride in understanding your concerns and demands, Please let us know how we are doing and any suggestions or comments about our products are highly appreciated. Applications - Smart Battery® products are used in hundreds of applications like Electric Vehicles, RV's, Boats, Cars to Robots, Telecommunications towers, Military and unmanned aerial vehicles. our flawless track record of reliability, consistency and quality is why we are the leading supplier of drop in replacement lithium ion batteries worldwide.